I was headed out for my walk this morning and saw this beautiful pairing of the Moon and Venus. I wish I’d gotten my tripod, but for being hand-held this came out pretty good. Taken with a Pentax K1000D, Tamron AF70-300mm F/4-5.6 Di LD, set at 300mm, f/5.6, ISO 800 speed. 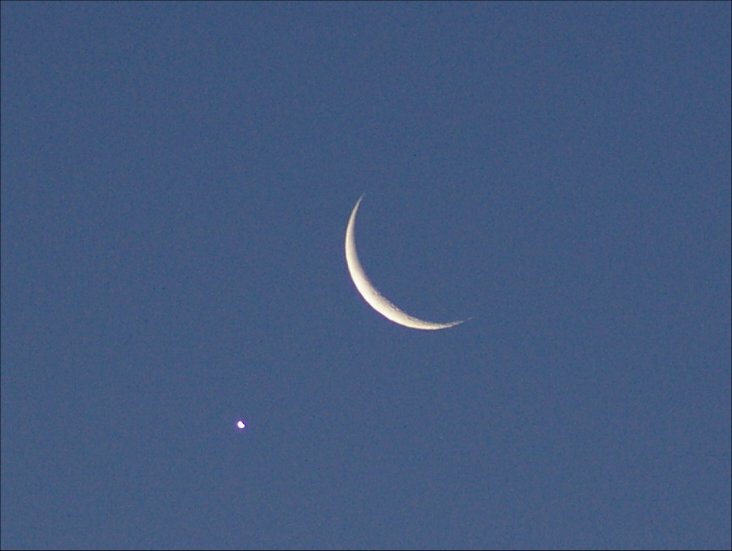 If you look closely, you can see Venus showing a phase, which actually is about the same phase as the Moon, but it’s a little overexposed.